Week 10 featured the creation of my first font, a talk from two ACAD alumni, the big artwork reveal at Centennial Place and a surprise visit from a goat. 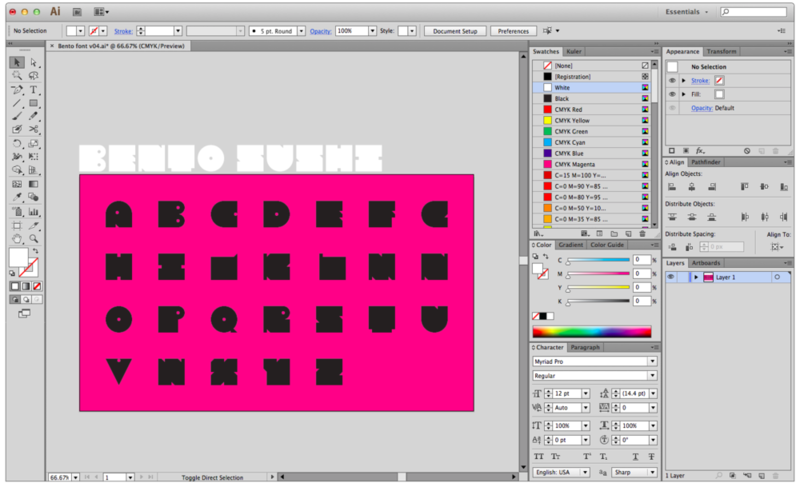 On Sunday I created outlines for the letters A–Z for the sushi project. I wanted to actually use it as a functioning typeface so I used some software my buddy Steven showed me some over the summer called Glyphs. It took a bit of work to understand the software but it was worth the time investment; the typeface works great and it’s way faster than copying and pasting letters to make headlines. The letter A in Glyphs. Illustration class is a always wonderful and Thursday was no different. My instructor Mike brought in two former students (Josh Holinaty and Genevieve Simms) and they gave us a little talk. They shared their work and their process and gave us a few tips too. Josh showed us this great default brush in Photoshop that gives you some nice texture. Here’s a little explosion of colour I threw together with the newfound brush. The real highlight of the week was the Centennial Place × Oxford Properties art unveiling. Another ACAD alumni, Christian Eckart, was commissioned for a large art piece that’s now installed in the public area of the building. The evening was one of the fanciest things I’ve ever been too and the whole design team looked especially great. Laura Sand, Nicole Edmond, Nikki Stephens and my previous instructor Naoko Masuda joined me. The whole team was happy with how our small part of the project turned out. The previous posts that have included photos of screen printing and box making are related to this project. 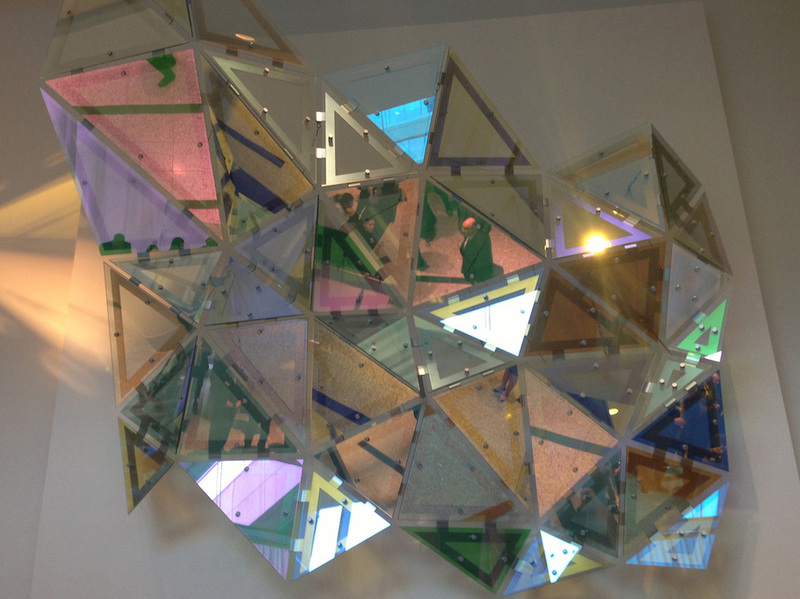 Oxford Properties approached the school to create 35 glass sculptures to commemorate the unveiling of Christian’s piece. The glass sculptures needed to be packaged so they collaborated with the visual communications department. We needed help with printing so we contacted the print media department. It was a wonderful cross-disciplinary project and something I hope to see more of at ACAD. One of the parts of the sculpture created by Christian. The design team reflected in Christian's piece. My classmate Michael Kohlweg brought a goat into class to end the week. It was for an Advertising stunt he was working on. 30% of the photos uploaded and tagged at the college that day were of the goat. It looks like it was an overwhelming success and I’m excited to see how the whole thing turns out. He’s got some great footage to edit together. The goat's handler and my instructor, Rik Zak.